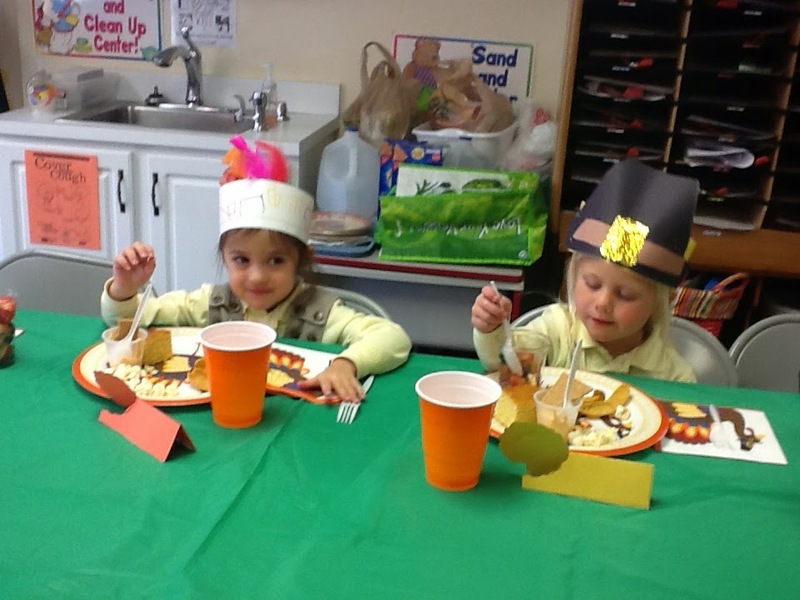 Thanksgiving brings to mind turkey, stuffing, mashed potatoes, gravy, pumpkin pie and all sorts of yummy food. Thanksgiving food, family, friends and festivities are all wonderful traditions for a wonderful day, but a truly thankful heart and grateful soul will make it a priority to thank God first for the many blessings, big and small. 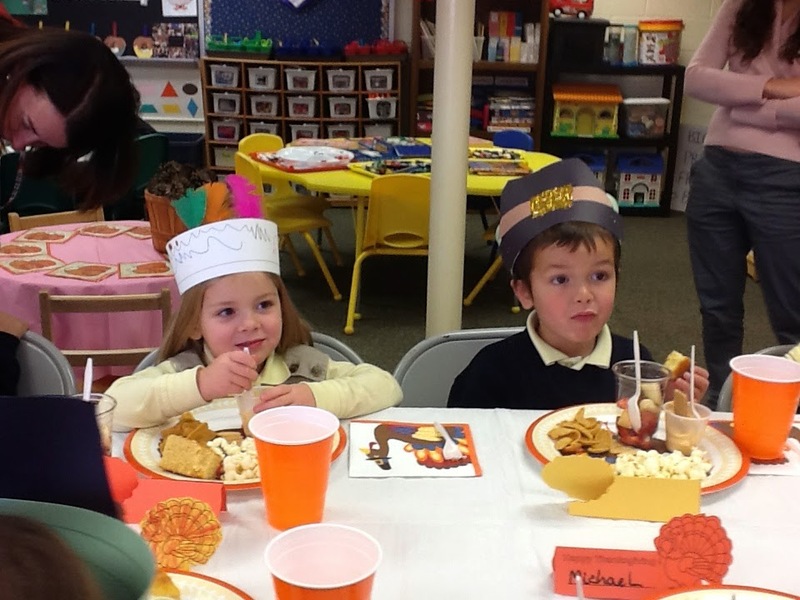 Mrs. Connell and Mrs. O’Malley’s pilgrims and Indians celebrated the Thanksgiving holiday with prayer and a feast. It was a wonderful morning and seeing the children interacting with one another, as a family! 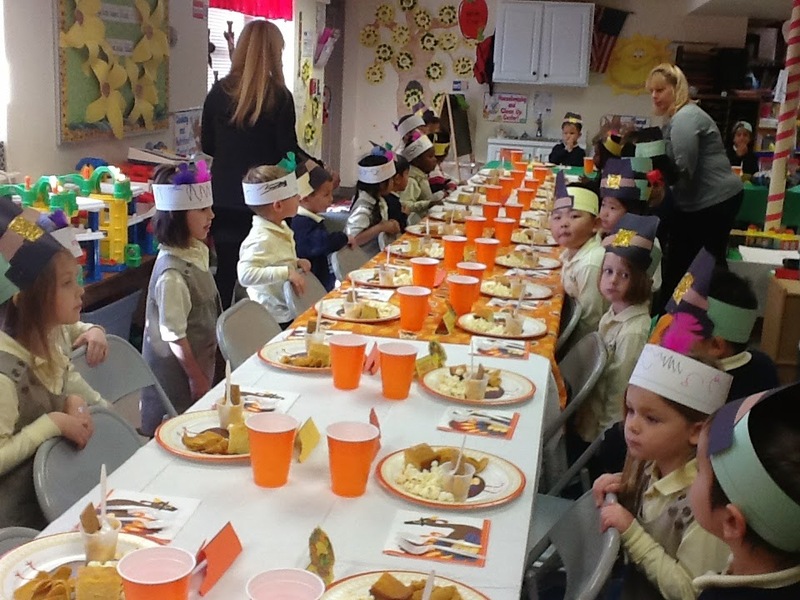 A special note of thanks to our many parent volunteers, who served with such a willing spirit. Gobble, gobble!! !